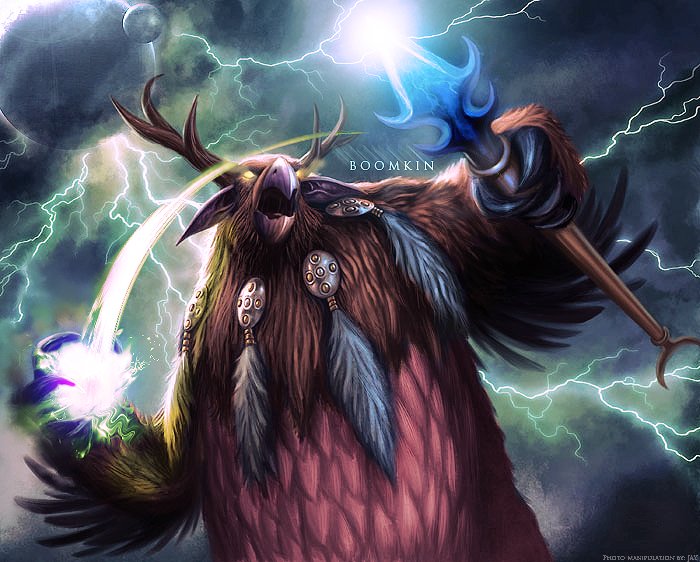 A bolt-throwing 'Boomkin' (AKA turkey of doom) in action. Allow me to paint for you all a familiar picture. My name is Flairn, and I’ve been out of things in the World of Warcraft for a long time. I haven’t played since well before patch 3.3 dropped. In fact, I’ve been without WoW since late November ’09. And I dinged the big level 80 in mid October. Now that seems like plenty of time to get acquainted with the end-game, but I played things a little differently. My guild, is almost entirely PvP. And I love PvP, big time. It’s by far my favourite part of the game. But I decided recently that I wanted to try out PvE. So in the sense of raiding and boss-killing, I’m essentially a fresh 80. Well, I’m sorry but that really isn’t enough for me. I realize that raiding requires gear. That’s a big shocker. But what do all those extra stats mean? Haste? Armor penetration? Some things are obvious like, crit. But what exactly does armor pen do? Do I need that as a caster (I PvE a boomkin, although I PvP feral)? After all, I’m still shooting spells at people with armor. So my goal with this is to take all of you good people of the internet through the entire process from step one. I’ll explain spellpower, and haste, and why you don’t need that stamina gem, since you aren’t a tank. Some people assume all these things go without saying. But I’m not going to do that. Now, I will assume that if you’re reading this blog you probably already play WoW. You may (or may not) already have a level 80 character. Keep in mind this blog is meant to explain the game from the point of reaching level 80. If you want a leveling guide, or a complete walkthrough, look elsewhere. So, the way this blog is going to work is simple. If you’re reading this sometime in February 2010, then I’ve just started. You can follow me through as I make my way through the world of PvE. If it is later in the year, then I’ve been going for a while. Check out the categories for the complete guide. Every category will be a phase in my playing, from ‘Fresh 80’ all the way to ‘Elite Raider’. Everything may not be completely jam packed with new info, it is, after all, a blog, but it’s worth reading, or at least skimming the category you feel you yourself are at, and then from there on. I don’t have them all named yet. You’ll just have to work it out for yourself. At any rate, I’m going to cut things off there. That’s it from me for now. This is the official begining of Flairn’s Great and Epic PvE Adventure! And I’ve got a feeling it’s going to be a pretty wild ride.